Motivational speakers often stress the importance of stepping outside your comfort zone and doing something that scares you to death. But how often do you take their advice? Personally, I’ve always been a risk taker. I decided to attend Howard University without touring the school. I run to the scariest roller coaster when I’m at an amusement park. I don’t hesitate to go zip lining or any other adventure that’ll get your adrenaline running. 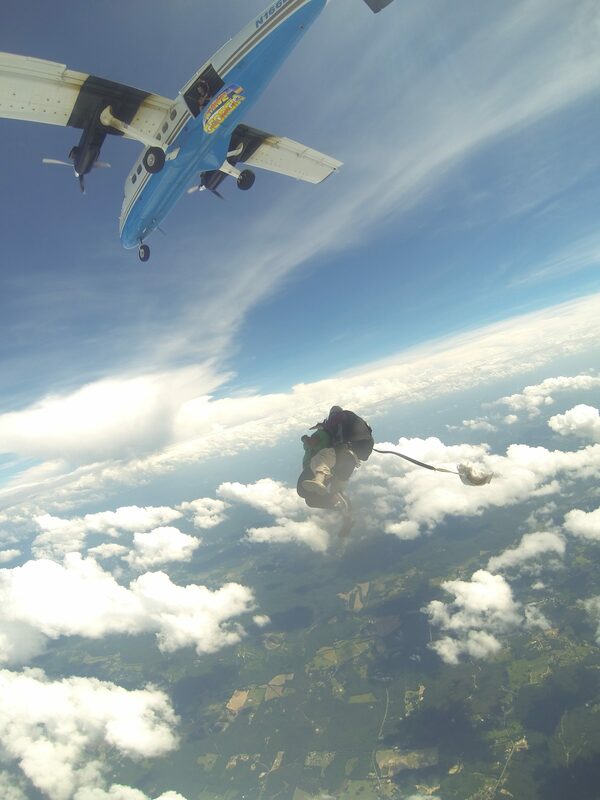 But skydiving out of a plane that was 14,000 feet high was the biggest risk I’ll likely ever take – and the greatest reward. I decided to make the leap of faith for my 25th birthday, and brought my mom for moral support since my friends and family weren’t willing to take the risk of jumping. 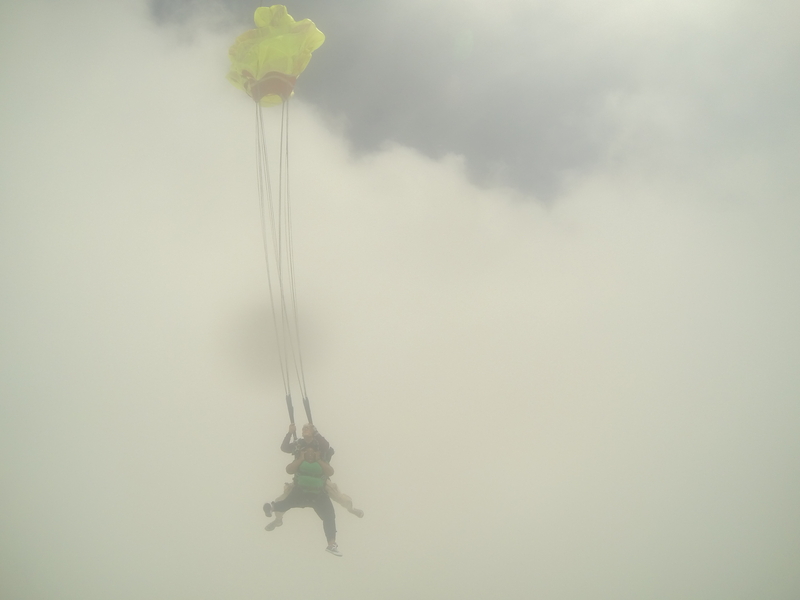 Skydiving was an emotional experience — I felt everything from excitement to anxiety to bliss. Fear crept in as well, especially on the ride up where I shed a tear but quickly wiped it away so the other 15+ people on the small airplane didn’t get concerned. Despite watching us elevate thousands of feet in the sky, I felt a sense of peace. I prayed like crazy up until that point, and on the plane and I knew that I would make it back down in one piece. The plane could have crashed before we jumped; The parachute could have stopped working; I could have landed incorrectly and broken my leg. So many things could have gone wrong, and the waiver that I signed would prevent my family from suing the skydiving company. Despite willingly signing up to put my life in danger, skydiving taught me what it truly means to trust in God, and let him take the wheel. Being that close to Him strengthened my faith because it was the epitome of putting my life in His hands. There’s no point in worrying about all of the things that can go wrong in life. Instead, focus on what’s going right in life. Focus on living your best life and crossing off everything on your bucket list. 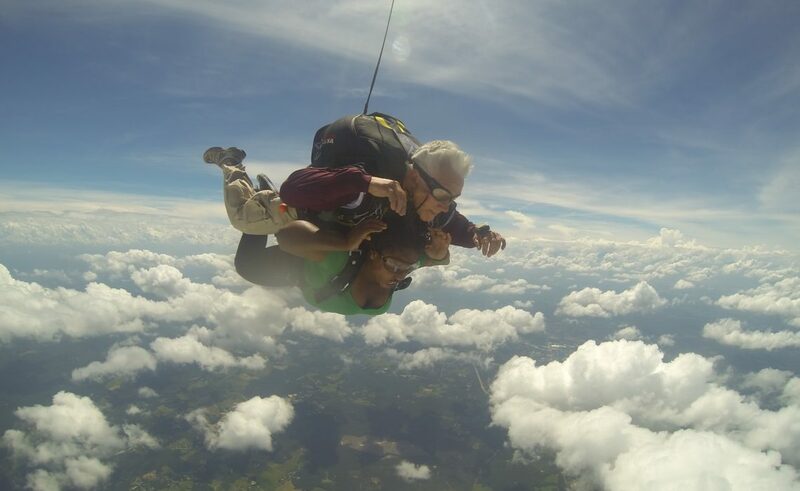 Whether or not you’re willing to go skydiving, be willing to put your faith in the Creator and expand outside your comfort zone to reap your greatest reward. The pruning process isn’t supposed to be comfortable, but it’s crucial to your growth. When we put our faith in God, we have nothing to fear – not even falling out of a plane at 120 miles per hour. Fear is mental slavery that confines you to the familiar. Fear is the enemy’s way of keeping you from playing big and taking risks that yield abundant rewards. Fear is a natural emotion that can be defeated by unwavering faith. Check out the video below to see me take a leap of faith!! Lifestyle blogger and published author Teyonna Ridgeway is dedicated to helping people recognize their beauty and unleash their brilliance. By day the Atlanta native works in social media marketing, and by night she drops gems about career, travel, faith and life as a Millennial on BecomingBrilliance.com. She also makes homemade natural body butters and sugar scrubs through her Etsy shop, Gail’s Goods. Follow her on Instagram or Twitter @TeyonnaLanez. Why Saying “Yes” is Sucking the LIFE Out of You!